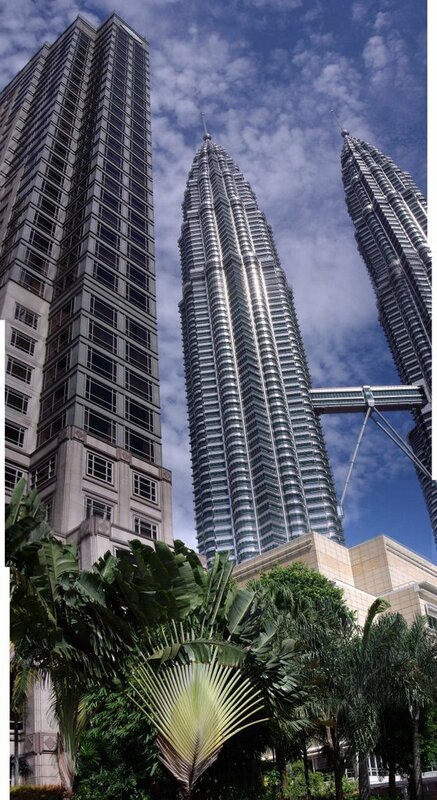 Took this awesome picture of the Petronas tower in Kuala Lumpur. It's actually a compilation of three pictures which were stitched together. Great tune also they play on the free-wifi-everywhere airport... after a few hours of waiting, you cannot run away from it!